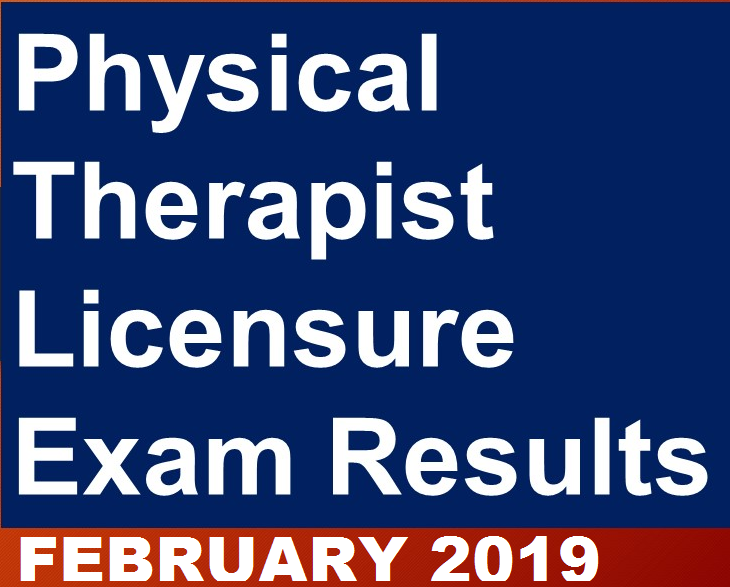 Manila Philippines - The February 2019 Therapist (PT) and Occupational Therapist (OT) board exam result will be released on Thursday, February 7, 2019. 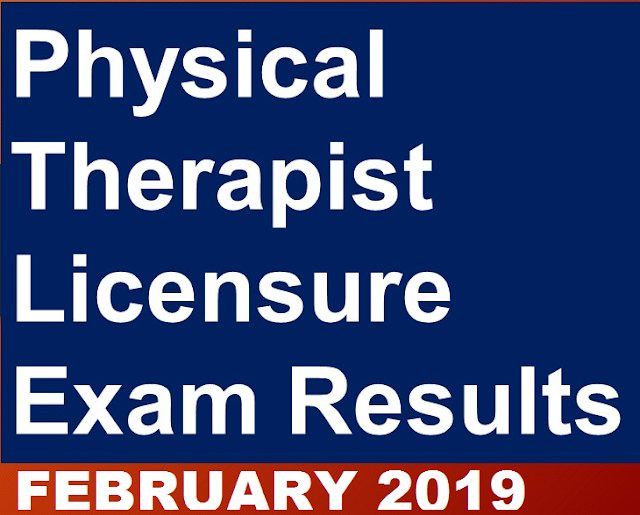 Update: 772 out of 1,287 passed the Physical Therapist Licensure Examination and 122 out of 211 passed the Occupational Therapist Licensure Examination. 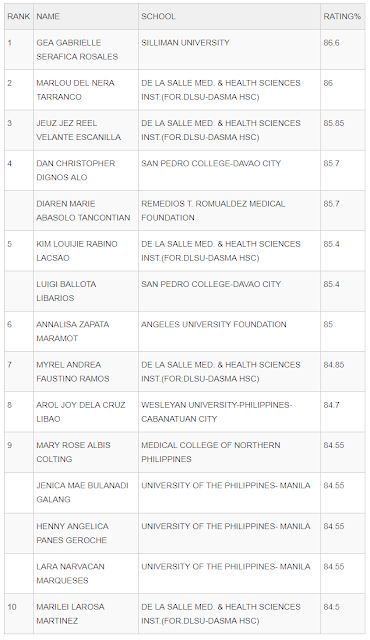 The Physical and Occupational Therapist Examination was conducted in Manila and Cebu on February 3 & 4, 2019. 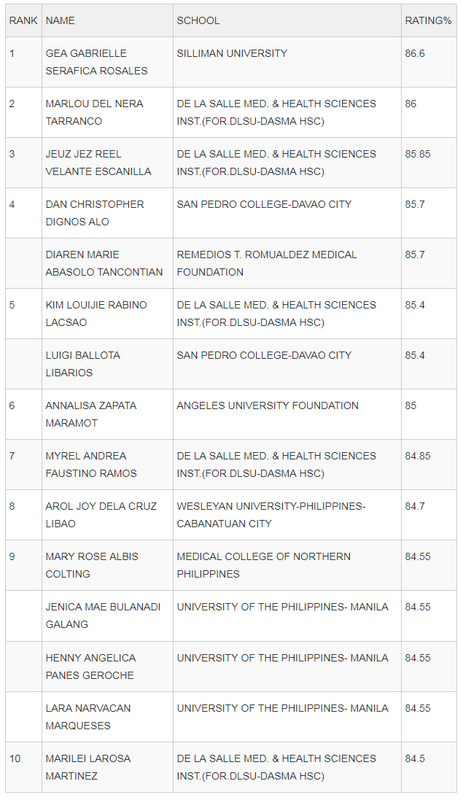 The members of the Board of Physical and Occupational Therapy who gave the licensure examinations Pollyana G. Escano, Chairman; Raul G. Agustin, Bernadette M. Reyes, Delia R. Pabalan and Rolland Lyle D. Duque, Members.